The yellow canvas beckons to the boy but he worries about what would happen if he went inside, and he worries what will happen if he doesn’t, and so instead he just passes by, sometimes tracing his finger along the side of it. There are lots of things on the boy’s mind. Car accidents are one of them, but not in the grisly sense, just in the sense that he could witness one and it could come straight for him and perhaps it would incinerate his wallet. Then his parents wouldn’t be notified and he would be reported missing, and his days up in heaven would be spent watching his parents search and search for a boy that had been pronounced missing, but was in fact dead. He writes his obituary sometimes. Not all the time and not on pieces of paper that could get around; instead he types it into his computer and then presses the command button and the “a” button at the same time, selects everything, and presses delete. It is calming to write the type of life that ends sweetly without tears of regret. His biggest worries occur in the time between his arrival home to the time when his parents will arrive. He watches the news while doing his homework (with worrying as much as he does, he’d had to learn to multitask) and waits and worries that his parents will appear on the television, and then he wories what it will be like to be alone, and then he worries that it is insensitive to worry about the alone part when he should have stopped at worrying about the terrible accident part. He can’t bear to imagine his Mom without his Dad. He can’t bear it the other way around either. He has imagined it both ways, in his head, and he has thought about them dying together, and he has worried and sometimes cried about any of it. He worries about other things too. If he owned a dog, how would he keep that dog safe? If he did poorly on this test, how would that look to the private high school he wants to go to? If he doesn’t finish the book, how will he know that everyone makes it to the end? And if they don’t make it to the end, he worries about all the ways it could have been all right, and then he scribbles on scratch paper about every mistake each character made. He worries about lunch germs and making friends and losing friends and basketball concussions and Alzheimer’s Disease, and how that disease scares him more than anything, because he is sure that he is going to get it, and he is going to get it soon. There is a silver lining about all of these worries that the boy is very aware of: As long as he worries, nothing terrible happens. Nothing even remotely bad happens. He can’t remember a time that anything bad happened, and he can’t remember the time he didn’t worry, so he imagines that he has worried forever, and as long as he worries, then there will be no tragedies. His parents love him and almost always came home on time, and if they aren’t home on time they came home in one piece and sometimes have presents. The boy sweats and immediately remembers the yellow tent and the promise posted at its entrance. The man proclaims he can divine who you care about most in the world, and how they will die. The man tells of his sophisticated machine that can show you exactly how it happens, and under what circumstances, and then he asks for his one hundred dollar fee and you can leave with the safe feeling of knowing exactly what is going to happen in your life. Suddenly, it isn’t a choice, it’s a necessity. He must know exactly what to worry for because he was worrying about general death, not specificity, and he could never imagine all the ways his mother and father might die, and he doesn’t want to. The boy knows that once he is told, he will immediately begin worrying about it, and worry about it forever, and he knows that if he worries about it, it won’t happen. When the man originally showed up with his tent, the boy went into the shoe box where his important items are kept and counted out birthday allowances that he had saved for emergencies. He put the envelope with twenty five-dollar bills in his backpack and stopped by on his way home from school, but he didn’t go through with it. Instead, he worried about how he would explain the missing money to his parents, who thought he was saving money for a bicycle. The next day, on his walk home from school, he determinedly walks the cracked sidewalk to the dusty lot with the yellow canvas tent in the center. The boy walks through the canvas doors framed by branches, and pulls his backpack to his front. Inside, the ground changes from dust and weeds to densely packed dirt. The heat and humidity is stifling. The man inside – the owner, probably – is dressed casually in jeans and a t-shirt. He reads the newspaper while sitting on a metal folding chair in front of a curtain. The boy takes the envelope out of his backpack and holds it up to be taken away. The man doesn’t blink or count the money, he just ushers the boy into a room with a stage and shows the boy how he will die. Posted on Sunday July 18th, 2010 Wednesday March 26th, 2014 by Max Elman. 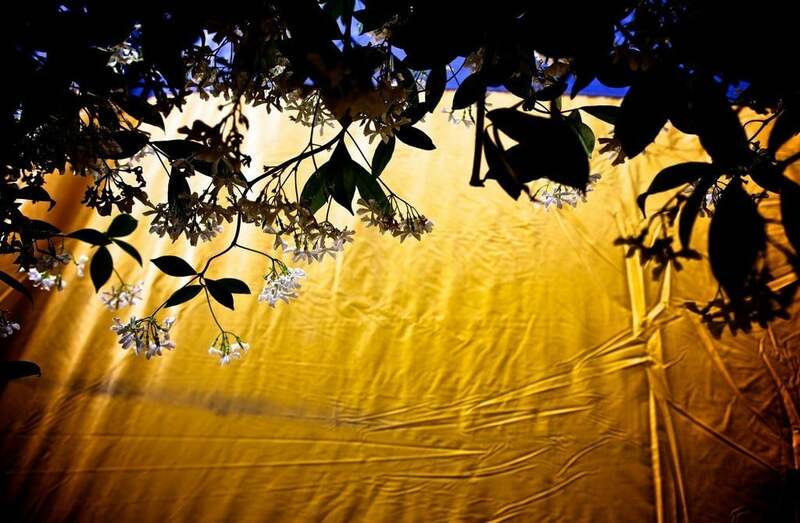 This entry was posted in Photos & Stories and tagged boy, death, love, parents, tent, worry. Bookmark the permalink.